Cook the passata or the canned tomatoes for 30 minutes before turning off the heat and adding the basil and a spoon of extra virgin olive oil. Meanwhile the aubergine is cut into 2cm thick round slices and soaked in cold, well-salted water for 10 minutes before being rinsed and drained. Next fry the aubergine, drain the oil on kitchen paper and set aside. Bring a large pot of salted water to the boil and cook the pasta; drain. 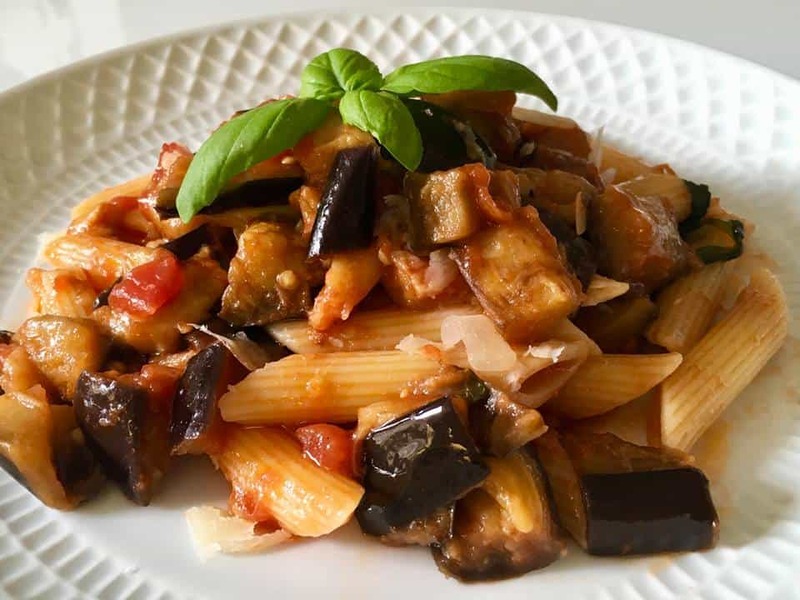 Combine the tomato sauce with the drained pasta and serve with a couple of slices of aubergine on top then a generous serving of grated salty ricotta cheese!